BE A PART OF BUSD! 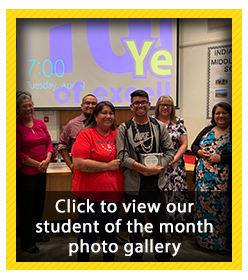 Baboquivari Unified School District congratulates Brian Antonio as our 2018-2019 school year hero of the year awardee for his selfless act in saving a young child from a close vehicle accident. 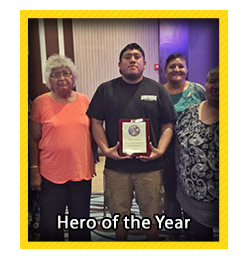 His quick action and response to save this child was recognized at our annual district in-service at Desert Diamond Casino on Monday, July 9, 2018. Thank you Brian, for your bravery and unselfishness in saving this young child. Our Students will be academically prepared, know their Himdag, and have life skills to excel. Check out our Parent Portal through Infinite Campus. We want to share our school board minutes with you. Please visit our School Board page for all of the agenda and minutes from our latest meetings.